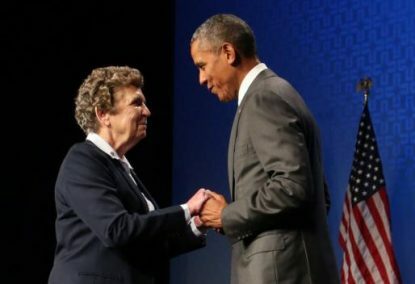 WASHINGTON (CNS) — An effort by the Department of Justice to strike down the entire Affordable Care Act in the courts is “unconscionable and immoral,” said Sister Carol Keehan, a Daughter of Charity, who is president and CEO of the Catholic Health Association. In that case, Texas v. Azar, Judge Reed O’Connor of the U.S. District Court for the Northern District of Texas ruled that the ACA’s individual coverage mandate was unconstitutional and that the rest of the law also must fall. The case was a suit filed by 20 Republican-led states suing the federal government over the constitutionality of the health care law. Democratic-led states have appealed this decision to the 5th U.S. Circuit Court of Appeals in New Orleans. For now, the Justice Department’s letter won’t change anything for those insured through the ACA, but the issue will likely gain political attention as it works its way through the courts and could land at the Supreme Court for the third time. The court has upheld the law twice. President Donald Trump’s efforts to see the legislation repealed, as he promised during his presidential campaign, failed in the Senate in 2017. In 2010, the bishops withheld their support for the health care legislation because of what they saw as “fundamental flaws,” such as a lack of conscience protection and failure to exclude elective abortions from health plans subsidized with federal funds.